** MENTOR OPPORTUNITIES-- Boyz to Men of Honor is currently recruiting males to serve as mentors for its “Fathering the Fatherless” Mentorship Program. Mentors are key sources of guidance and support in the lives of young men. Mentors are paired with youths based on various criteria including but not limited to youth and mentor interests, mentor strengths, youths’ goals, and location. Mentors must be a minimum of 21 years of age and be willing to submit to various background checks. For more information, contact Boyz to Men of Honor. ** Event Volunteer-- Volunteer at one of B2MH’s annual events. During these events we look for volunteers to set up, serve, clean up, and assist with various activities. ** DONOR OPPORTUNITIES-- Boyz to Men of Honor is a non-profit organization that relies heavily on donations from private donors. 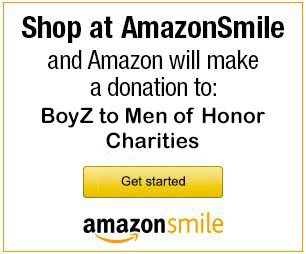 Charitable donations of any size will enable Boyz to Men of Honor to continue providing its valuable services to young men and their families. Gifts in kind, including, but not limited to healthy snacks, event tickets, school supplies, office supplies are greatly appreciated. *for all other amounts click the PayPal donate button.